Chipps is still on holiday, none of the rest of ST Towers cares. 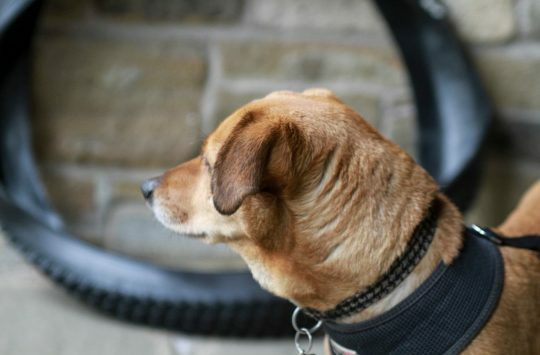 Except maybe Amanda, who is falling out of love with Jess The Love Croissant Very Naughty Dog. Techno Pigg is too poorly to care, the only bit of him that isn’t dying is too pre-occupied with hating Ross for giving him Rossitis. Hannah is about to go on a holiday she’s been planning for years – if she gets ill now Ross should probably find a new job, new house, and new name. Especially as she’s already in a bad mood because she’s going to the desert, and the forecast is for rain. Most of the rest of the office are gently recovering from Rossitis. Ross is not popular. Google searches for ‘fates worse than death’ are. Just passing through, this is neither goods, nor fresh. It has been ridden, and we’re not testing it. But as far as we know it’s the only one in the world, so far. 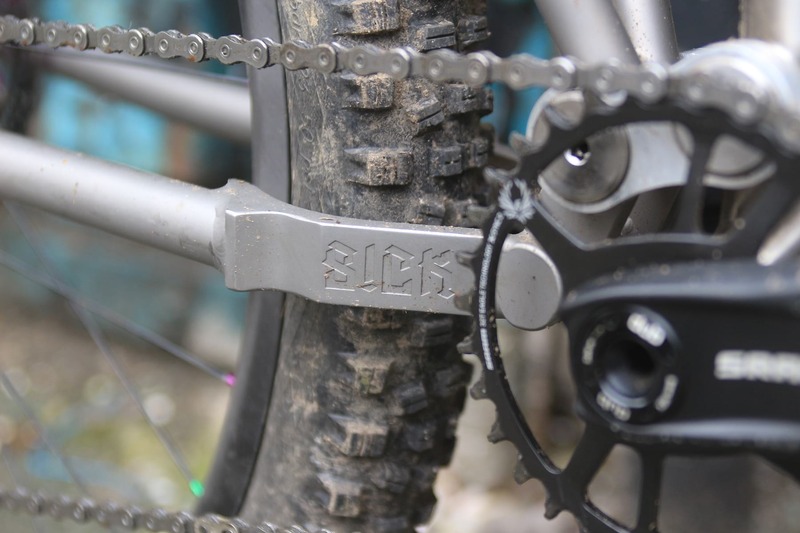 If we’re wrong, and you’ve got your DFA, or indeed any other Sick Bike, be sure to let us know! 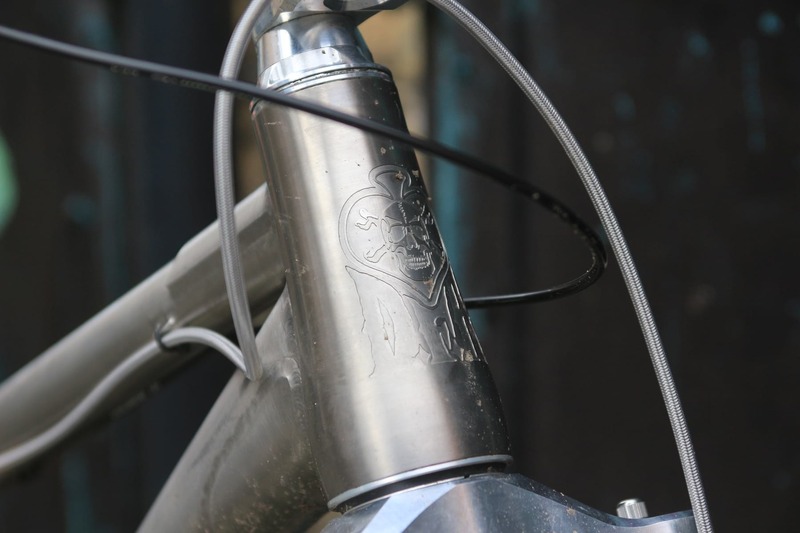 Full suspension titanium? Yay, or nay? Is this a unicorn or a donkey? Noodles for sending, not a sexting request. Joining the ranks of the many tyre inserts we have on test is this UK brand. 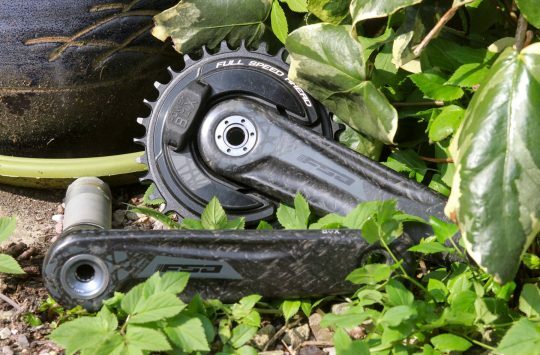 Claiming to be lighter and with better feel than other tyres inserts, these are available in 26in, 27.5in and 29er sizes, with or without valves. Hannah has skinny biceps and chunky forearms, apparently. 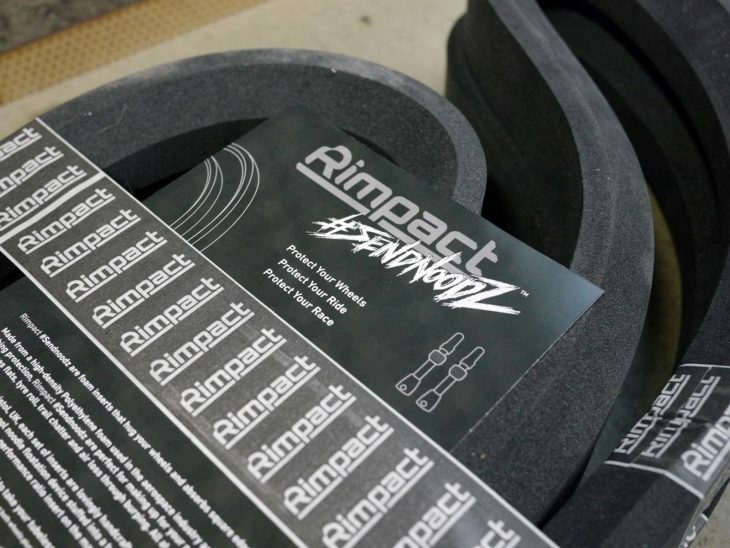 These lightweight pads arrive pre-shaped and feature silicon strips at the top and bottom to keep them in place. The perforated fabric is designed to increase airflow and offer good ventilation and moisture control. 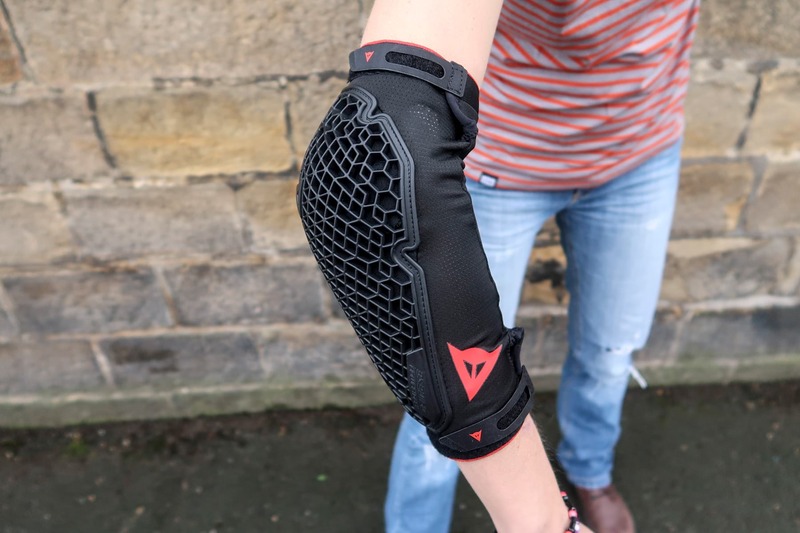 Designed to offer the perfect balance of mobility and protection, these low-profile guards claim to deliver unrestricted arm movement and all-day comfort. 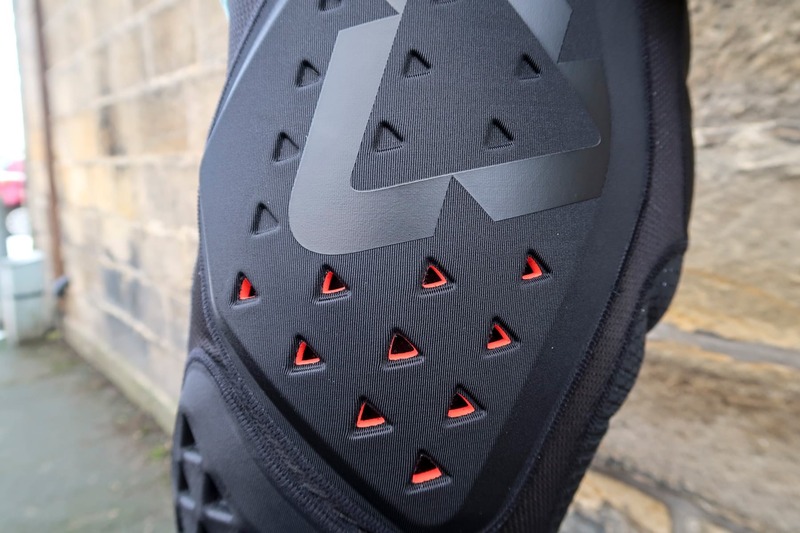 Adjustable bands at the top and bottom allow for a more customised fit, and the run-resistant mesh should keep you cool and comfortable so you can focus on the ride. They are very mesh-y. We have photographed carefully. These impact shorts from Leatt offer high levels of protection in a lightweight shell. 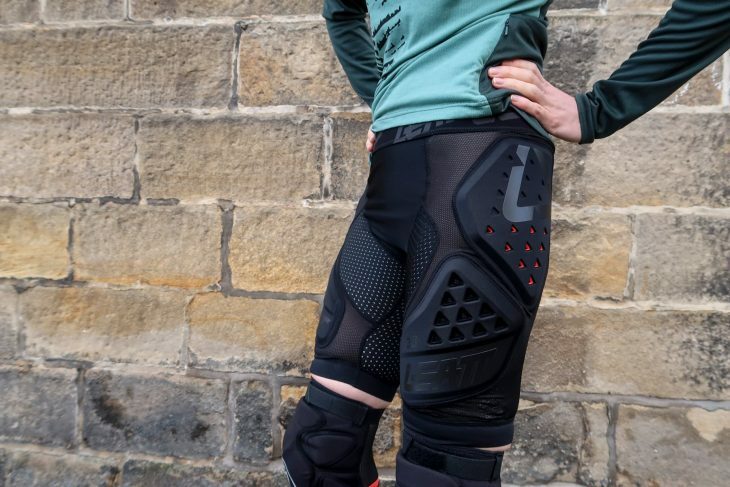 The elasticated mesh shorts house padding for both hips and thighs, feature an extra wide elasticated waist band, certified 3DF hip impact protection and anti-odour moisture wicking fabric. Finally, the silicone printed elastic leg cuffs should help keep everything in position. Available in sizes small to XXL these shorts don’t have a padded chamois section, so while they’re unisex, if you can get them over your bum/hips, women may well find these are a comfortable option. David really likes the brakes that these go with. 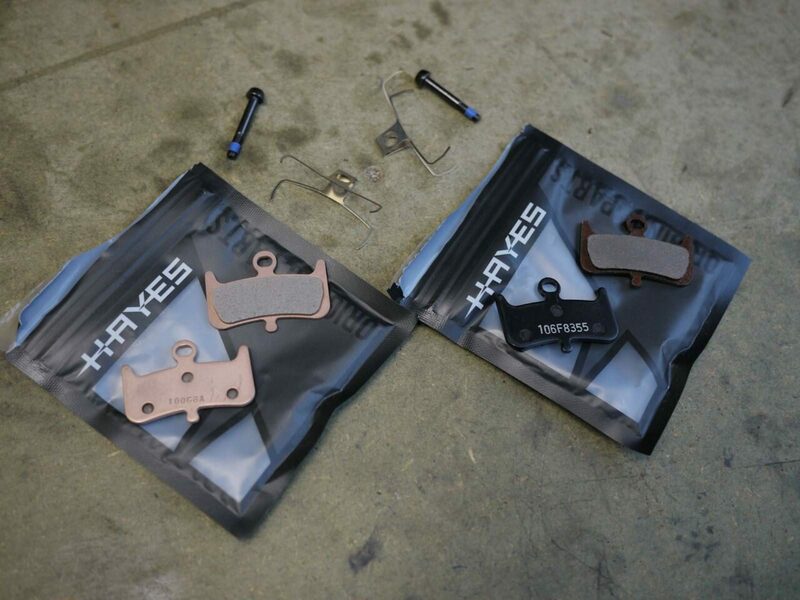 Here we have Sintered and Semi-Metallic brake pads to fit the Hayes Dominion brakes which David tested and recommended recently. Clearly he’s still using them then! Wonder how long they’ll stay that colour? Developed with Brandon Semenuk, these have been designed to offer the perfect balance of stiffness and pedal feel, giving you the kind of flexible stability you want for jumps and tricks. 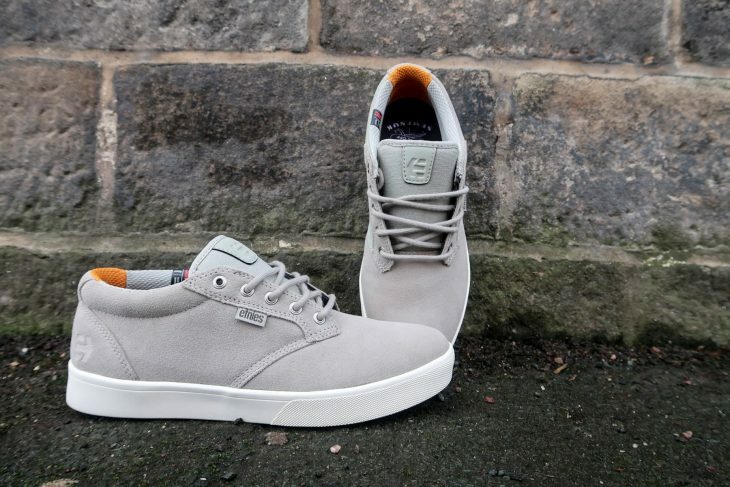 There’s an asymmetric collar that gives a little more protection to the inner ankle for when those no footers don’t go quite to plan, and a Geo-Hex sole for pedal engagement. 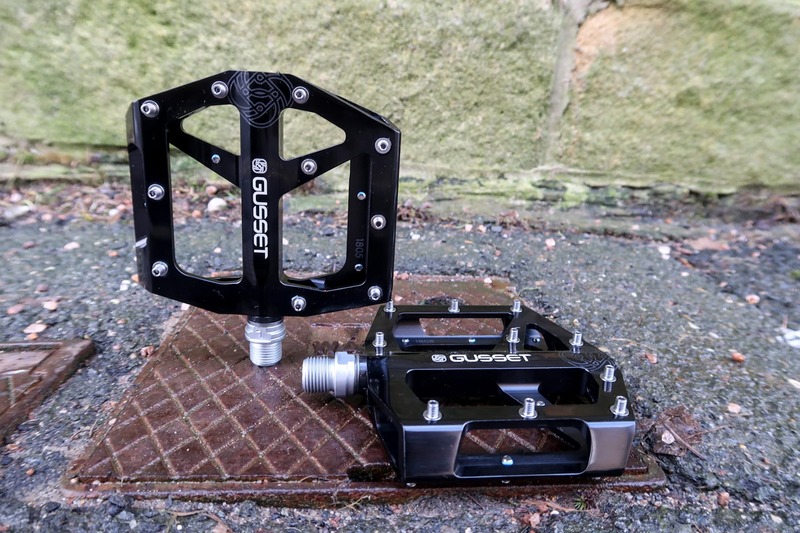 Burgtec Penthouse MK4 Composite pedals. 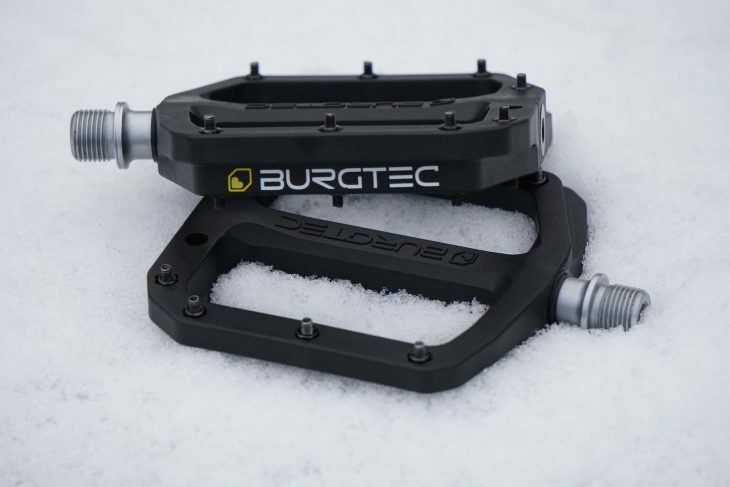 Burgtec has released a new composite version of its extremely popular Penthouse Mk4 flat pedal. The mould of the composite pedal is designed so that it looks identical to the alloy version, but being made of fantastic plastic they’re much much cheaper. 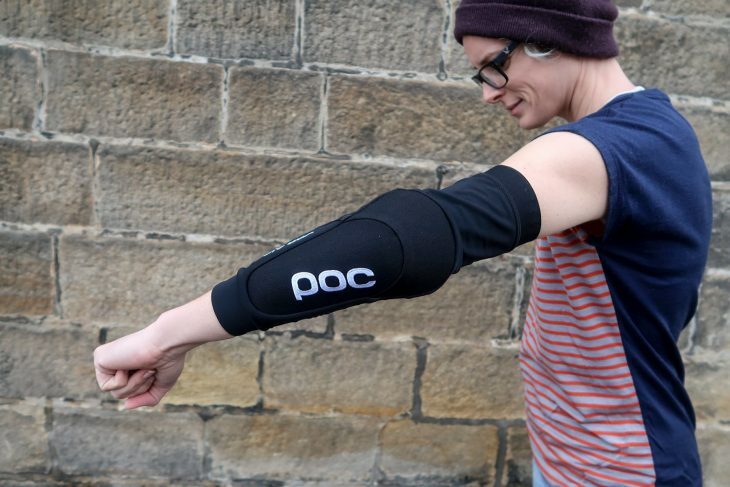 Eight colour options will be available at launch, which should be around March, with pricing set at just £39.99. Is anyone else thinking ‘stroopwafel’? From Ison’s in house brand, these are 6061 alloy body pedals with chromo axles. The nine pins are custom designed with a flanged base, and the pedal body is slightly concave. We can’t help but think he might use this as shower gel. 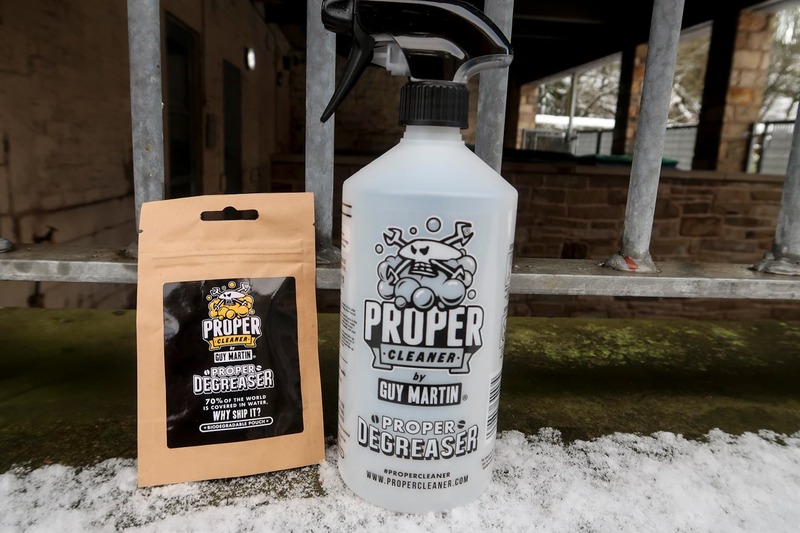 Adding to the range of cleaning products, Guy Martin has launched this degreaser. The cleaner itself comes as a sort of lozenge, which you add to water (which you provide yourself). Once you’ve got this starter kit, which includes the bottle, you can just order new lozenges as you need to – much lighter and easier to transport. Maybe you’re trying to cover up what colour your passport is? 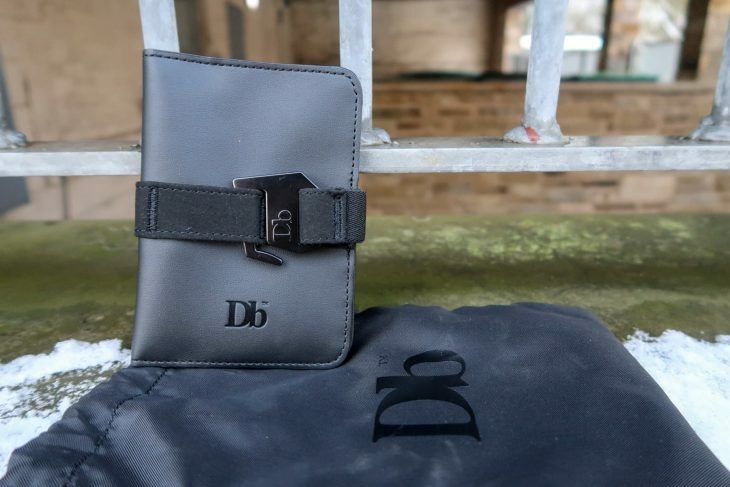 Or maybe you just want a nice posh case to keep it safe, along with a few important credit cards? Gold ones so you’re more likely to get upgraded? This wallet, available in a variety of colours, will hold your passport and a few cards besides. Warmer than the real thing. 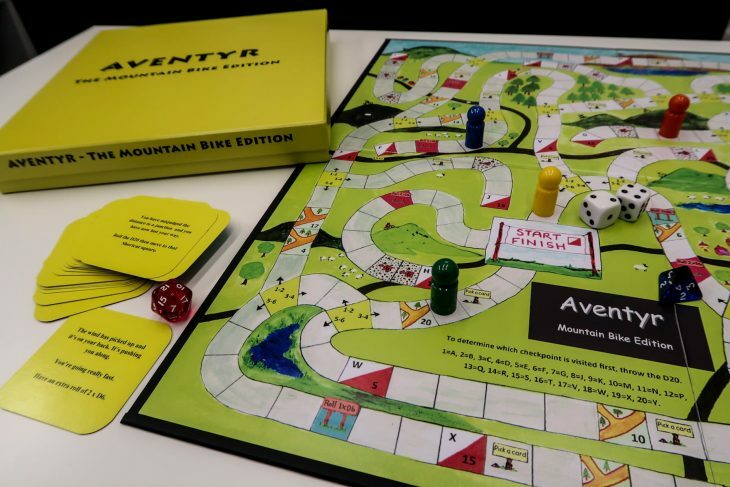 A board game based around the popular ‘Trail Quest’ concept. 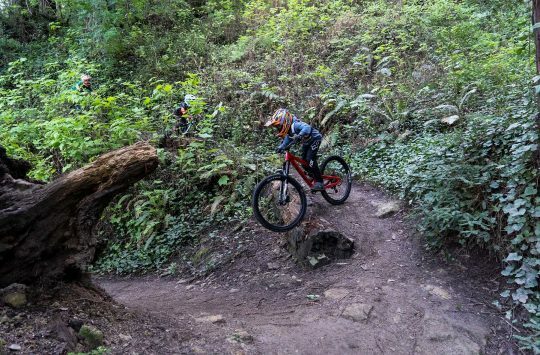 Now you can enjoy arguing about directions, getting lost among some nettles, and taking the long and fast way round only to discover a big hill – all from the comfort of your sofa. For up to six players. On to the weekend – either staying well, or getting well (Get well soon, Techno Pigg!). Relaxation, rest and recovery are key to maintaining a strong immune system. Put on some headphones, sit back, and let this wash over you while your body takes a moment to rebuild. We are all made of stars. Except Ross, who is made of germs. 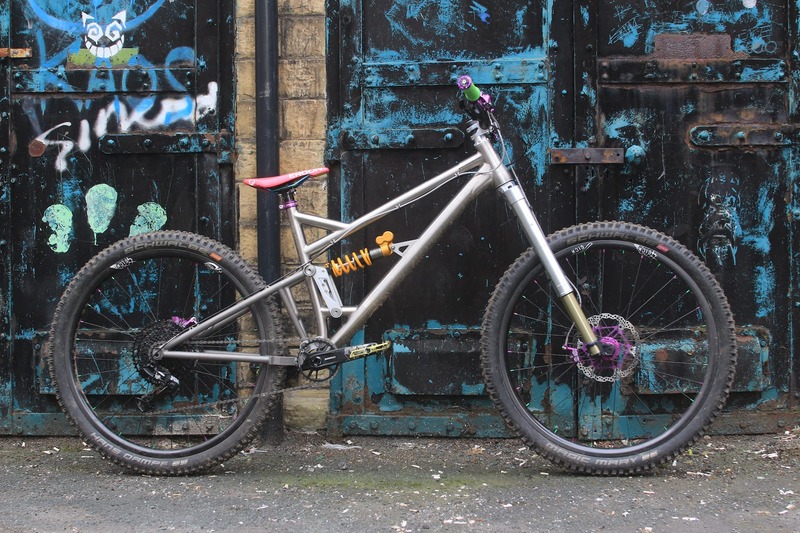 Ooh a titanium full susser. If they’ve managed to avoid the ususal potholes of this combnation then win. To be honest I’d ide it anyway as it sure does look pretty! Maybe rerad this before getting excited. @Kamakazie No. Sadface. I thought it might be here by now. I bet it arrives just as I go on holiday. Monday is a great day for a First Look. I think we need to know what Jess The Love Croissant did to annoy Amanda! @stwhannah what rainy dessert you off to? @Rubber_Buccaneer the Sonoran, Arizona. I have a thing for cacti. I’m quite excited. @stwhannah Envious, now stalking you on Instagram for the cacti pics. @BillOddie She is not good in the mornings. And she was very very naughty. That Sick DFA should be called the Ponzi really.